I'm trying to build a motor that is activated when light shines on a photoresistor/transistor (can anyone explain the difference? ), but I'm totally lost right now. I can only utilize wires, batteries, photosensors (e.g., photovoltaic cells, photodiodes, photoresistors, phototransistors), light bulbs, LEDs, homemade solenoids, switches, and up to three motors. No computers, integrated circuits or other electric components are allowed. Can anyone provide a starting point? All the designs online either use an IC or they use a transistor. In answer to your question about photo resistor and photo transistor. A photo resistor is a light sensitive resistor that changes its resistance depending on the light level falling on it. The material commonly used is Cadmium Sulphide (CdS). In the dark it has a high resistance (>100k) and in the light it has a low resistance (< 1k). It is normally used in a potential divider circuit (top or bottom position) with a fixed or variable resistor depending on what you want to detect (light or dark). 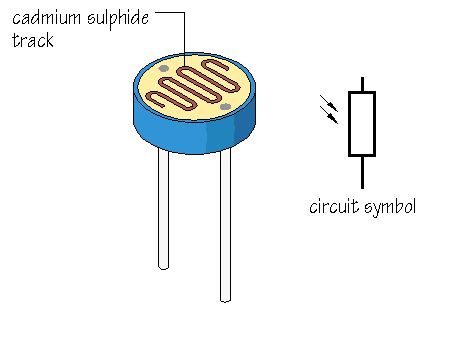 The photo transistor is a transistor that uses light to supply the base current in order to turn it on. This small photo electric current is then amplified by the transistor allowing a much larger current to flow through the collector emitter junctions. For more amplification (sensitivity) there are Darlington versions of the photo transistor (two transistors in one package). As to the starting point in your project. 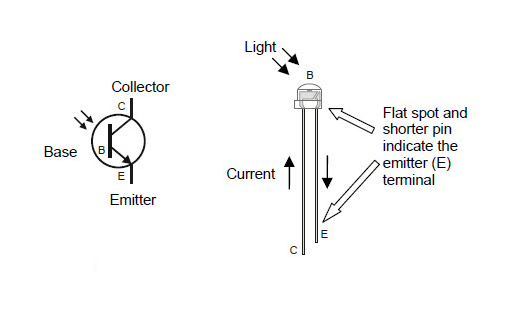 First build a circuit to detect a change in the light level using an appropriate sensor/circuit. N.B. 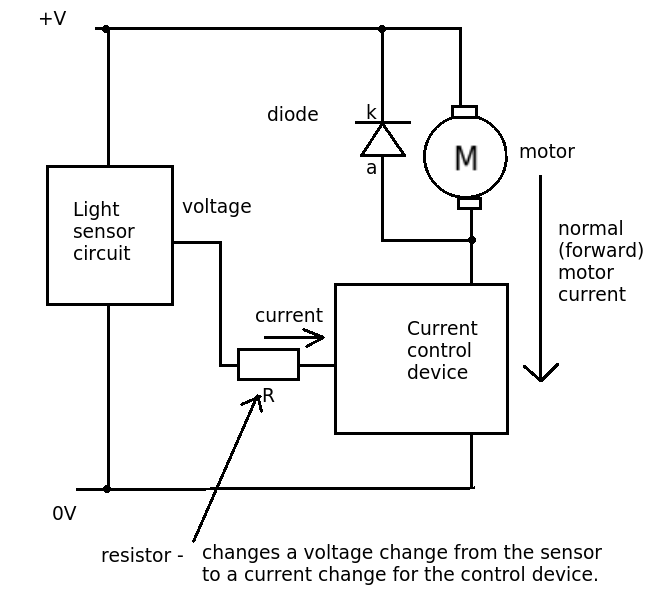 This circuit will not control enough CURRENT to switch the motor on and off. You will need to interface with another electronic device that requires a small input current that controls a larger current. Finally you will need to protect this device from the back emf when the motor is switched OFF. This is done by connecting a DIODE across the motor in the opposite direction to the normal (forward) flow of current. Your final circuit should look something like this - I leave it to you to do a bit of research to get it into a working circuit. Not the answer you're looking for? Browse other questions tagged motor switches phototransistor photoresistor or ask your own question. How to light a LED using photo transistors output? Having trouble with light activated circuit.